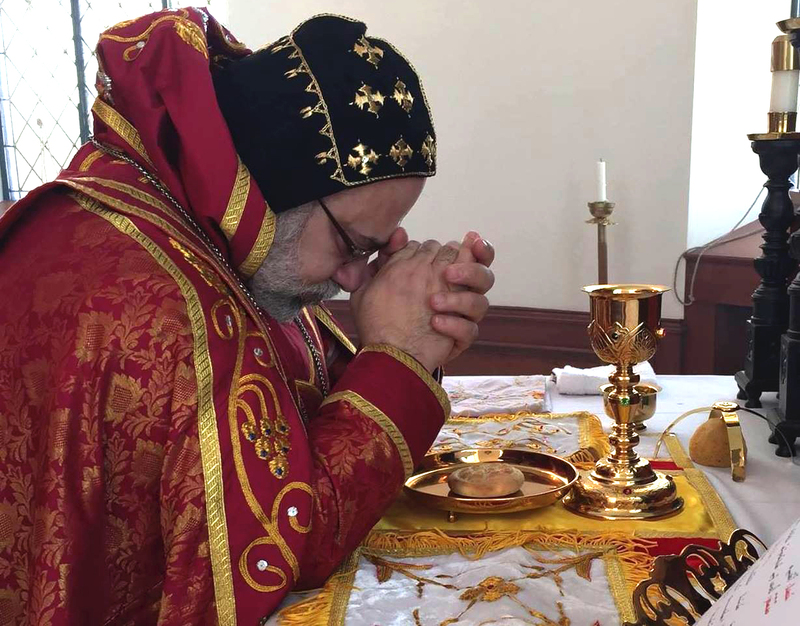 We offer apostolic benediction, benevolent prayers, and greetings in the Lord to our brethren, their Eminencies the Metropolitans, our spiritual children the venerable priests, the devout monks, nuns, deacons, and our blessed Syrian Orthodox people. May the divine providence embrace them through the prayers of the Virgin Mary the Mother of God and St. Peter, the head of the apostles, and the rest of the Martyrs and Saints. Amen. The Lord Jesus said, “Ask and it will be given to you; seek and you will find; knock and it will be opened to you. For everyone who asks receives; he who seeks finds; and to him who knocks, the door will be opened” (Matthew 7: 6, 8). Lend your ears all you travelers on the road of life in this world, you whom the different burdens of life have worn out and its varied worries have troubled. The Lord Jesus prescribes to you the medicine for this ailment, which is to raise prayers in His name to the heavenly Father. Jesus promises that your fervent petitions will be answered if presented with solid faith. Apostle Paul defines this faith saying, “Now faith is the assurance of things hoped for and the conviction of things not seen” (Hebrews 11:1). To have faith in God is to acknowledge, in thought, in heart and in tongue, His existence and in all the facts of faith which His beloved Son, our Lord and Savior Jesus Christ, has revealed to us. Pour, therefore, your souls, hearts and minds before Him in humility, meekness, repentance and total remorse for all the trespasses you have committed, and He will conceal your sins and give you rest from your labors. He will rejoice by you returning to Him in repentance, just as the father of the prodigal son rejoiced by the return of his son in repentance. The father forgave his disobedience and his squandering his wealth in extravagance and sinful living, and accepted his confession of his sins and his repentance. The prodigal son had said to his father, “Father, I have sinned against heaven and against you. I am no more worthy to be called your son.” The father said to his servants, “Bring the best robe and put it on him. Put a ring on his finger and sandals on his feet. Bring the fattened calf and kill it. Let us have a feast and celebrate. For this son of mine was dead and is alive again; he was lost and is found. So they began to celebrate.” (Luke 15:21-24). The Lord Jesus taught us to call the heavenly Father “Our Father in heaven” so that we may address Him with the liberty of His children. The Lord Jesus did so to encourage us to stand before the heavenly Father as His children in grace and beseech Him in the name of His beloved Son. He did so also to encourage us to worship the heavenly Father in spirit and truth, and to unload our distress before Him. The Lord Jesus compared the righteousness of the Heavenly Father with the compassion of human father towards his children saying, “Which of you, if his son asks for bread, will give him a stone? Or he asks for a fish, will give him a snake? If you then, though you are evil, know how to give good gifts to your children, how much more will your Father in Heaven give good gifts to those who ask him.” (Matthew 7:9-11). No two believers will disagree that man, since the beginning of his existence, has been clashing with the devil and his forces in a relentless war. In this connection, Apostle Peter urges us to resist our enemy, the devil, saying, “Be vigilant and alert, because your adversary, the devil, prowls around like a roaring lion looking for someone to devour. Resist him, standing firm in the faith, knowing that your brethren who are in the world also suffer these same afflictions.” (I Peter 5: 8, 9). Praying to God is thus very necessary, and seeking the help of God is always a must, so that God may save us from our vicious enemy, the devil. The Lord describes the devil saying to the Jews, “You are of your father, the devil, and your will is to do your father’s desires. He was murderer from the beginning, and has never stood by the truth, for there is no truth in him.” (John 8:44). This accursed devil is still setting traps for us trying to catch and enter us into temptation that we may fall into the chasm of sin, as he did to Adam, the father of mankind. For this reason, the Lord Jesus taught us in the Lord’s Prayer to ask the Heavenly Father and say, “Enter us not into temptation, but deliver us from the evil one.” The Lord Jesus proclaimed to us the love of God saying, “For God so loved the world that He gave His one and only one begotten Son that whoever believes in Him shall not perish, but have eternal life.” (John 3:16). The Lord Jesus redeemed us by His precious Blood and gave us victory over the devil. He, like us, entered into temptation in everything except sin, and gave us victory over the devil. Therefore, if we persist on praying to the heavenly Father in His name, He will definitely be with us in our struggle with the devil, and we will conquer the enemy of God and man with the power of the Lord Jesus. Jesus commands us saying, “Wake up and pray so that you will not fall into temptation. The spirit is indeed ready, but the flesh is weak” (Matthew 26:41). Jesus likewise says about some kind of devils who enter men and torture them, “Nevertheless, this kind does not come out except by fasting and prayer.” (Matthew 17:21). How powerful, therefore, the prayer of the repenting, even the righteous, believer is when he raises his heart, mind and soul to heaven. In doing so, his prayer may enter before the throne of mightiness as sweet smelling incense, and be answered. Concerning the power of prayer, Apostle James teaches us a timeless lesson, “The prayer of a righteous man is powerful and effective. Elijah was a weak man just like us. He prayed earnestly that it might not rain, and it did not rain on the land for three and a half years. Again he prayed, and the heaven gave rain, and the earth brought forth its fruits.” (James 5:16-18). When a believer raises his heart, soul and mind to God in solid faith, firm hope, and pure love, God answers his prayer and forgives his trespasses, after he himself has forgiven those who trespassed against him. The repenting tax collector prayed to God in the temple in humility and with contrite heart, standing in awe, beating his heart and saying, “God, have mercy on me, a sinner.” Jesus said about him, “I tell you that this man went home justified” (Luke 18: 13, 14). Also, the repenting thief who was crucified with the Lord Jesus and announced his faith in Him while on the Cross, raised his prayer to Him in firm hope saying, “remember me when you come in your kingdom” (Luke 23:42). His request was granted immediately, and he became worthy to hear the Lord’s true promise, “Truly I say to you, today you will be with Me in Paradise” (Luke 23:43). If, however, our prayer is not answered, let us then examine ourselves and see if we prayed in faith or not, and if we repented to our Lord or not. The Lord does not accept the prayer of a sinner except in one case, that is, when a sinner asks God for forgiveness with earnest repentance, abundant tear, and determination not to return to sin. God, however, may not answer our prayer for there could be certain harm against the salvation of our souls, if prayer were to be answered. God knows what is best for us. God also may delay answering our prayer so that we may show the strength of our belief in His power. The Holy Gospel makes mention of the Canaanite woman who followed the Lord Jesus when He was in the vicinity of Tyre and Sidon. The woman was crying, “Have mercy on me, O my Lord, Son of David, my daughter is severely possessed by a demon” (Matthew 15:22). Jesus did not answer her right away. Rather, He delayed as if He did not want to grant her request, so that he might show the strength of her faith to the crowd. She kept persistently and insistently crying. After He spoke to her, it became evident to the people, from her answer, that she told the truth and that her faith in Jesus was firm. The woman answered the Lord humbly and wisely, and the Lord praised her faith and healed her daughter possessed by demons. The Canaanite woman is an example for us to follow. We should pray without tepidity, and object not the will of God, but rather submit to it. If we ever show any objection to whatever happens to us, let it be in humility and wisdom, saying, “Let your will be done, O Lord”. The Lord Jesus taught us to pray the way He Himself did. He used to, glory to Him, retire with the heavenly Father for several times everyday in fervent prayers. When Jesus prayed, His prayer was intimate discourse with own self, for He and the Father are one in substance. He is in the Father and the Father is in Him, as He said about Himself (John 14:10). When His disciples once asked Him to teach them how to pray, He taught them to direct their prayer to the heavenly Father, “When you pray, pray like this; Our Father in heaven…” (Matthew 6:9-13; Luke 11:1- 4). Jesus taught us and His disciples this very short prayer, which we call “the Lord’s prayer” and presented it as a model for us from which we adopt our own petitions which we present to God. In this prayer, He incorporated themes embracing thanking God for His graces, which he always bestows on us, glorification of His name, and our petition to Him to fulfill the needs of our souls and bodies, and thus we worship Him in spirit and truth. We must, therefore, persevere in public prayer together with all the faithful in the holy church, and in partaking in the holy Mass. Also, we must follow the steps of our fathers in performing prayer in mornings and evenings in our homes for the entire household, in addition to our own solitary prayers, so that we may continue to communicate with our great God. By doing so, we draw from Him strength, wisdom and triumph over our enemy, the devil, and his hosts, and protection against his followers, evil men. Because we are in need to know the will of our Lord, we must carry on reading the holy Bible, and listen well that we may hear the commandments of our Lord Jesus Christ in piety and fear of God. We must observe these commandments avoiding what is forbidden in the commandments of the Lord, presenting to Him prayer of thanksgiving and gratitude, and believing that He is our God, savior and redeemer. For without faith, there is no prayer. How can we pray to Him whom we do not believe in. The Lord commanded us saying; “Therefore I tell you, whatever you ask for in prayer, believe that you will receive it, and it will be yours” (Mark 11:24). May the Lord God bless you, and make you worthy to renew your spiritual relationship with Him, glory to Him. May He accept your fast, prayers and almsgivings, and make you worthy to celebrate the feast of His glorious resurrection from the dead in joy, happiness, good health, and great success. May His grace be with you. Which is the 22nd year of our Patriarchal reign.